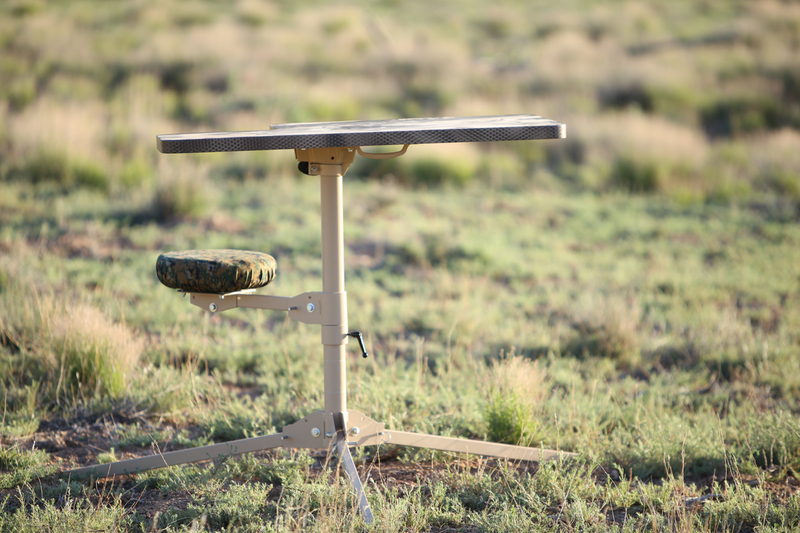 We offer one tabletop size the 30X43 left or right handed, it will work from a .22 to a 50BMG. 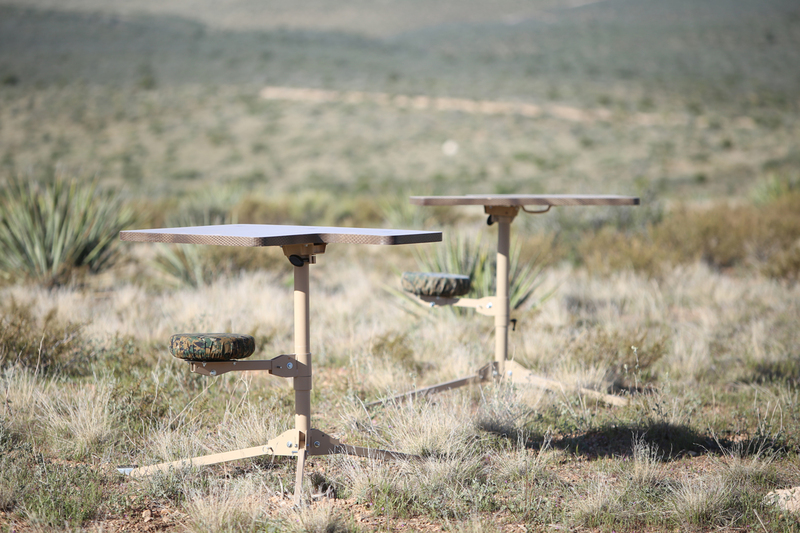 Thru the years we had 2 different designs and have come up with a better tabletop to fit most shooting needs. 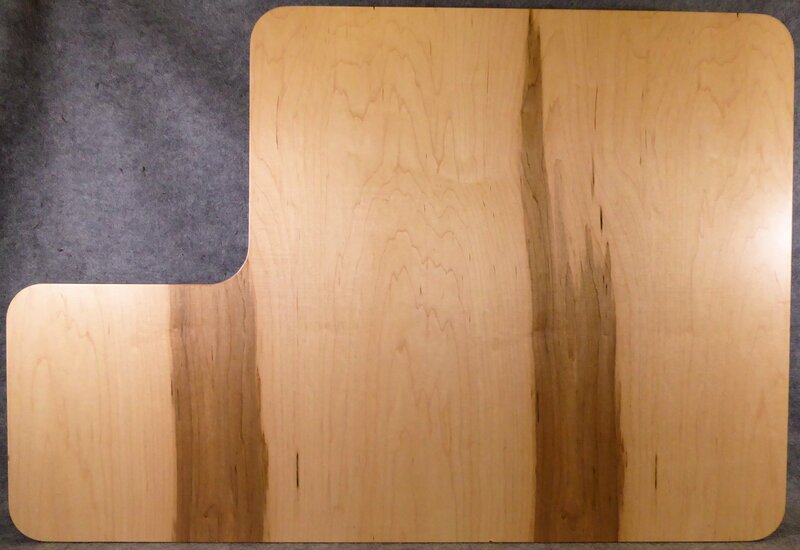 The tabletops are made out of a 14 ply Maple or Birch whatever we can get in the market. 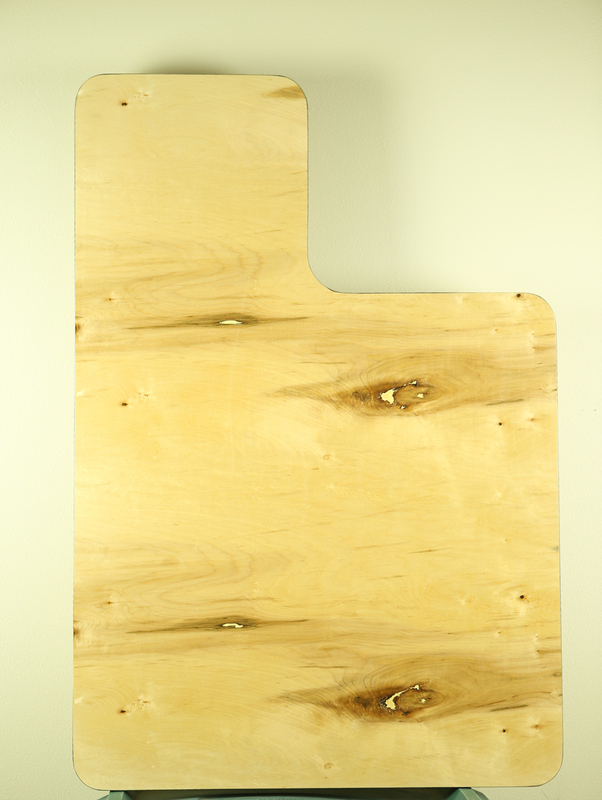 The weight of the tabletop will vary from 32-38 pounds depending on the wood density. 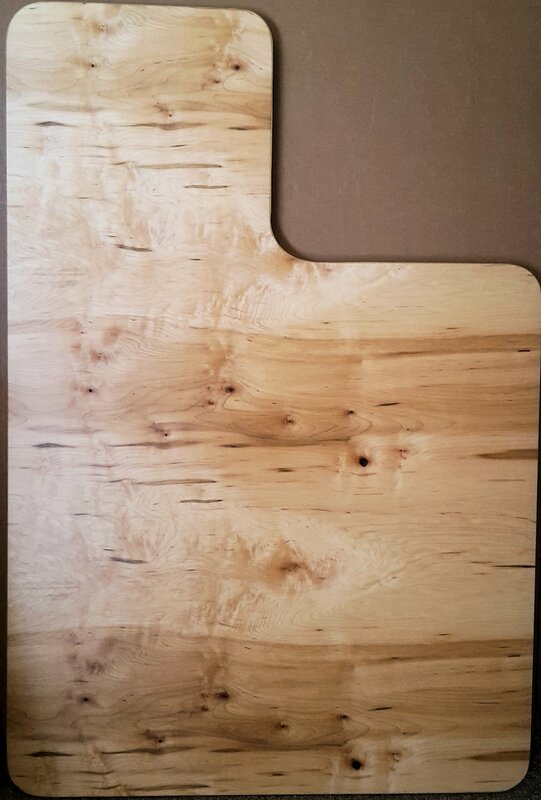 Each tabletop is unique in appearance and texture. We make all of our tripods out of the strongest steel. While there are some lighter materials out there they tend to flex when the shot is taken, causing a point of impact shift for each shot. 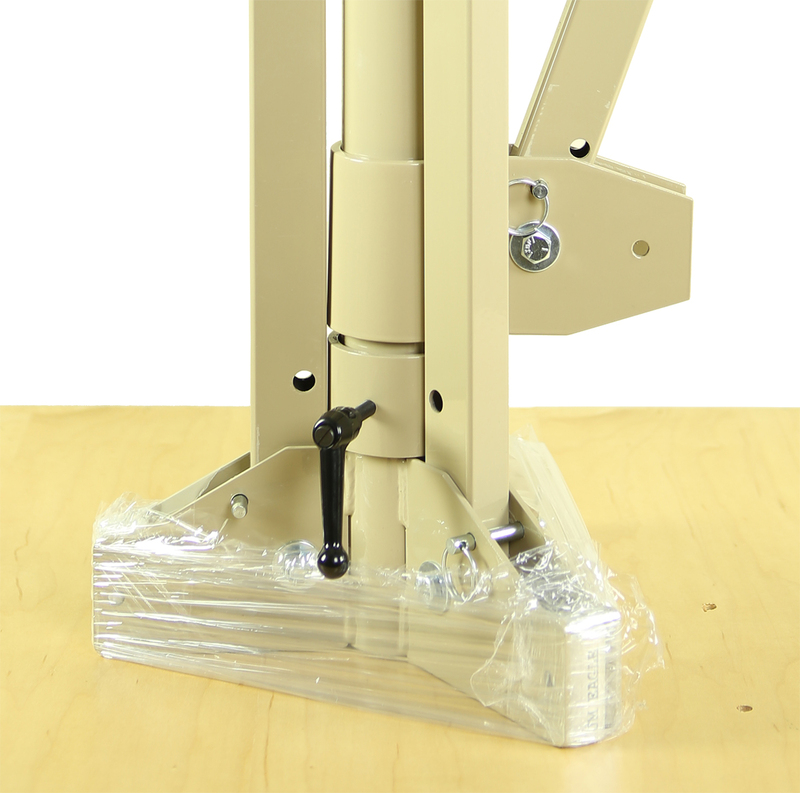 The tripods are designed to handle a 500 lb man plus gear. The weight of the tripod is approximately 35 lbs. 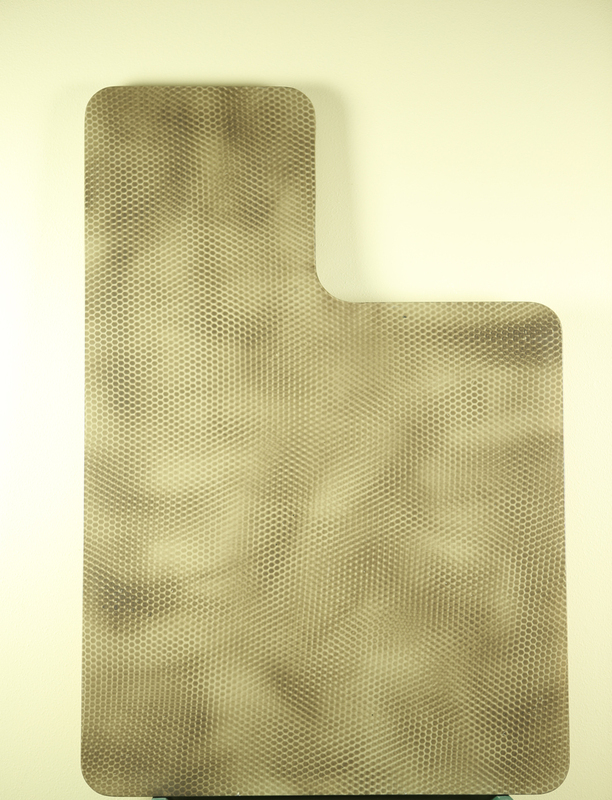 We powder coat all of the metal parts for extreme, long lasting durability. 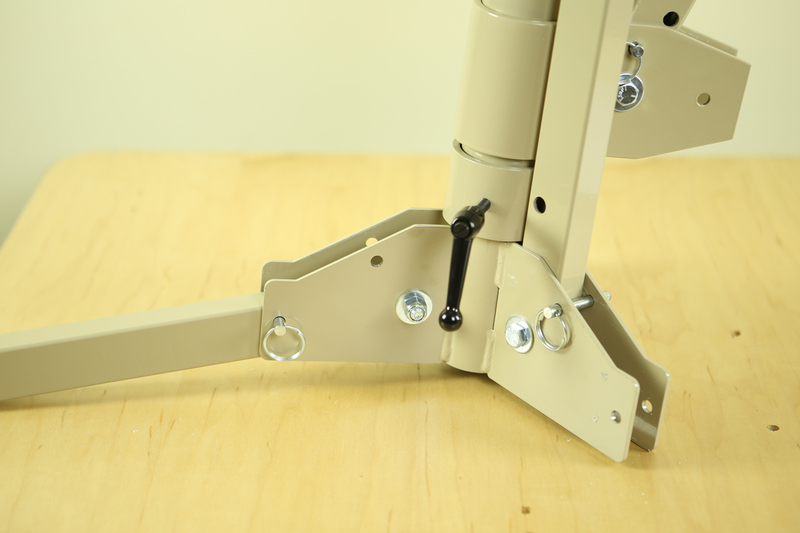 The tripod measures 32″ tall from the ground with the legs folded up. 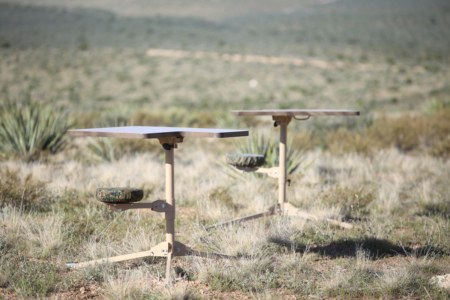 It measures 37″ tall from the ground with the legs extended. 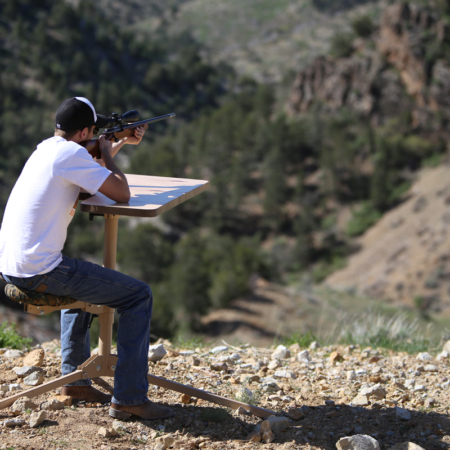 The seat has 25″ or more of vertical movement on the tripod for the most travel of any shooting bench. 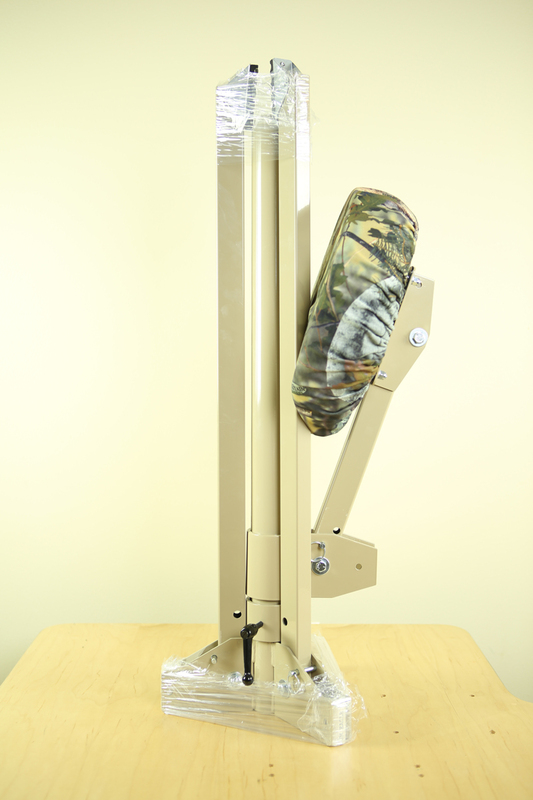 The seat pads are set on a swivel so they rotate 360 degrees and come with a 2 inch thick high quality foam cushion for comfort while shooting for long periods of time. 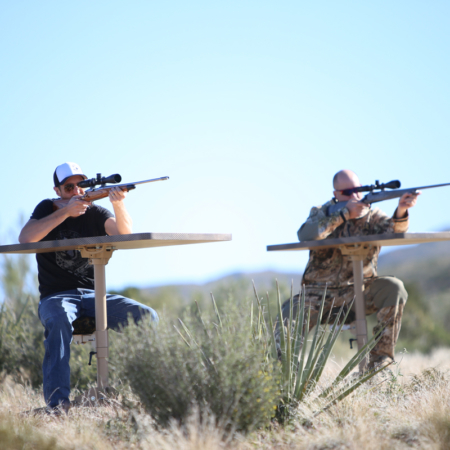 When you are done shooting the tripod is designed to fold up on itself for a compact, easy to transport shooting platform.